KINGS MILLS, Ohio – When it was time to take her high school senior portrait, Lauren Hoyle knew exactly where to go. She wanted the setting to be something edgy. Something different than everybody else. So she snuck into the old Peters Cartridge factory at 1415 Grandin Road in Kings Mills. Hoyle, now 22, isn’t alone. Sitting along the Little Miami River and scenic bike trail, the bones of the once-thriving munitions factory have been the source of many local legends. The site is included in more than a dozen online lists of most-haunted places. And a quick YouTube search shows the former plant is a haven for teens and adults hoping to catch a glimpse of the paranormal. It’s also a hot spot for police activity. Strobel, 53, no longer owns the property, but that problem hasn’t gone away. In the last four months, Hamilton Township Officer Joe Smith said he’s been called to the property about six times. Other officers, he said, have had to respond to the former plant up to 10 times in a week. But that’s not what self-proclaimed ghost hunters will tell you. Ghostly shapes in the windows. Gravestones arranged in a circle. 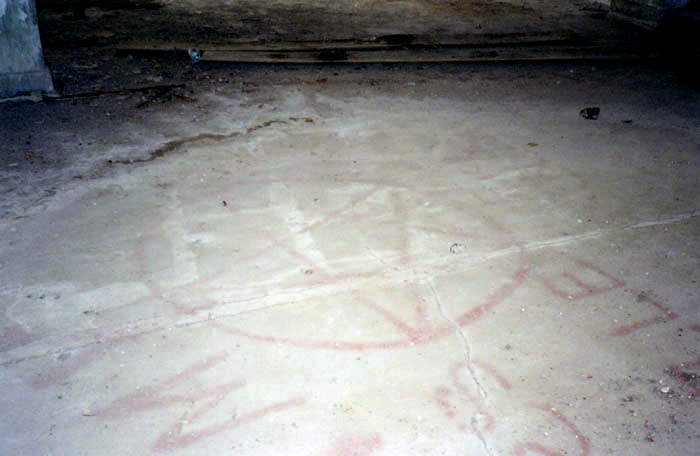 A satanic pentagram on the floor. 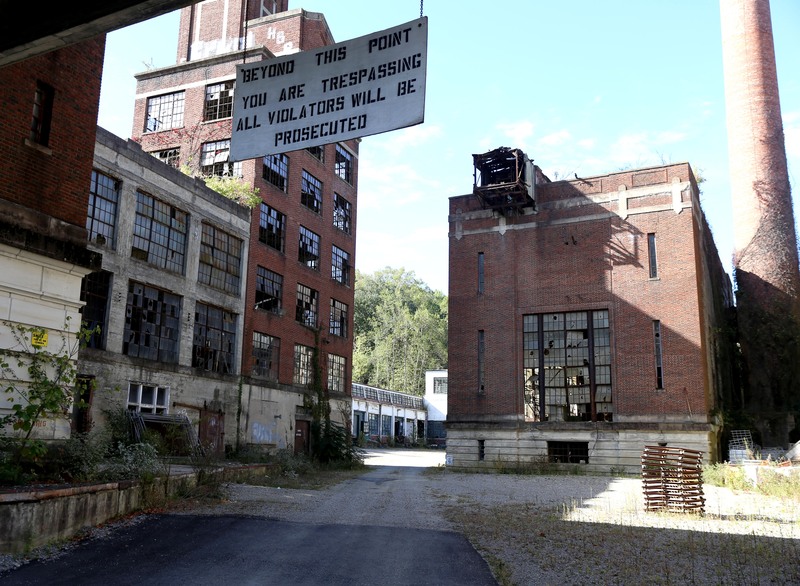 These are just a few of the highlights from Andy Henderson’s trip to the Kings Mills landmark in the early 2000s, which he documented in his online blog Forgotten Ohio . The Ohio resident has spent the last two decades digitally cataloguing the “forgotten man-made wonders, strange history and restless spirits” of the Buckeye state. And the old Peters Cartridge factory building definitely fits the bill. Cincinnati resident Rick Fenbers, who runs the blog Creepy Cincinnati , is also very familiar with the legends. He said he managed to get into part of the property two years ago – but considering what happens to trespassers, he didn’t stay long. Those pentagrams, it turns out, are not some big satanic secret. They’re just the product of vandals, according to Roland Strobel. 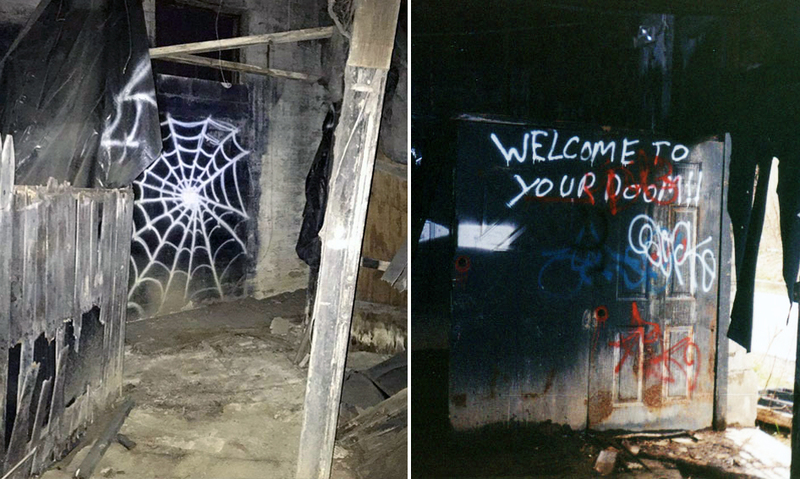 Before his father purchased the property in 1998, Strobel said someone transformed part of the old factory into a make-shift haunted house. Strobel said his dad left the decorations alone – which definitely added to the creep factor. Imaginations clearly ran wild, Strobel said. But he doesn’t blame anyone for their curiosity. The history of the Peters Cartridge Company and its alluring factory along the river is no laughing matter. The Peters Cartridge Company opened for business in 1887 and thrived for more than 50 years. At its height, it employed 3,000 people who worked around the clock to create ammunition shipped to U.S. allies in both world wars and several other global conflicts. Historians say the company owes its success to founder Gershom Moore Peters, a Baptist minister who held at least 35 patents and invented the world’s first fully automatic cartridge-loading machine. Peters entered the ammo industry when he started working for the King Powder Company in 1881. He married the daughter of King Powder’s founder, Joseph Warren King – and after King’s death in 1885, Peters took over as president. Two years later, he opened the Peters Cartridge Company at a site along the Little Miami River, a short distance away from its King Powder parent company. Together, both factories helped Peters thrive in a growing munitions business. On July 15, 1890, railroad negligence caused two loaded railway cars to collide near the Peters Cartridge facility, triggering an explosion that killed 12 people. 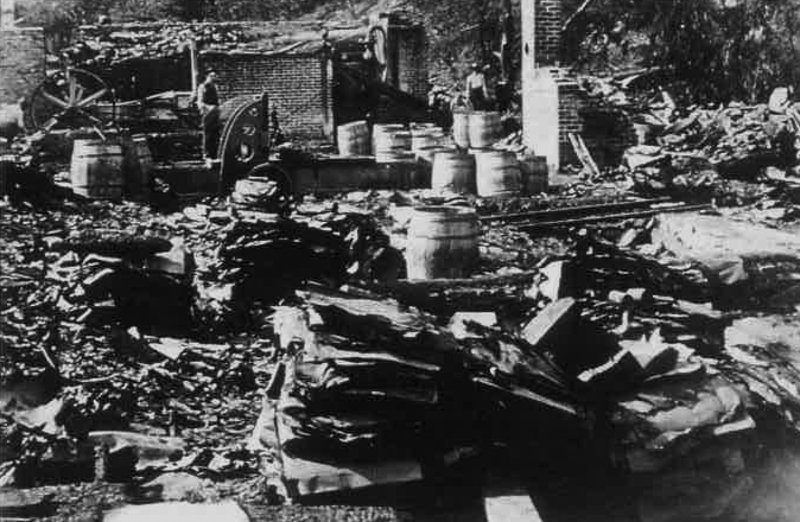 The blast and ensuing fire also destroyed the railroad station, the freight house, two office buildings, the shell factory, the cartridge loading plant, a large warehouse and the homes of six employees. Peters later rebuilt the plant on the other side of Grandin Road. Most of those structures still stand today along the Little Miami Scenic Trail. Over the next half a century, more than 10 other explosions rocked the area, killing 21 more people and injuring dozens more. 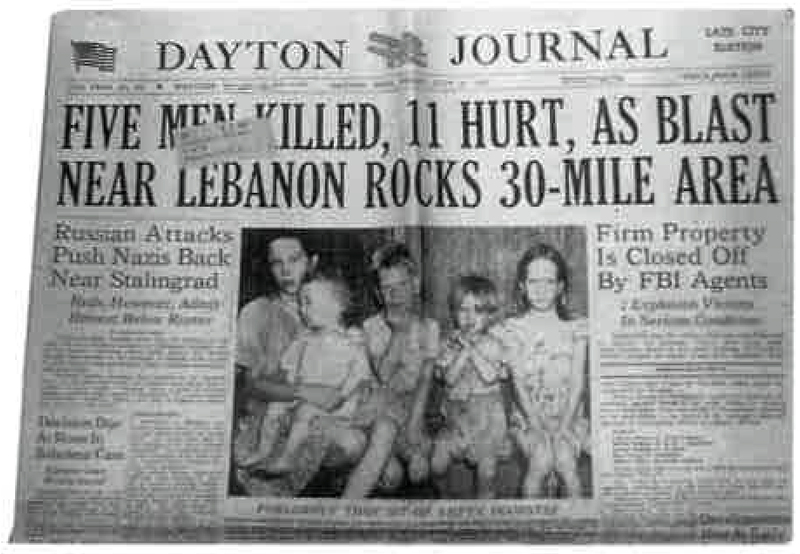 A blast at the nearby King Powder Company in 1942 was so intense, newspapers at the time reported the shockwave shattered windows as far as 30 miles away in Northern Kentucky. Taft Broadcasting later bought the King Powder site, and used part of the land to build the Kings Island amusement park. 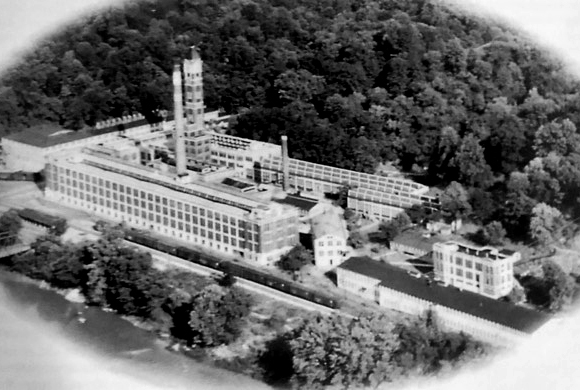 Remington Arms Company – an American firearms manufacturer founded in Ilion, New York – purchased the Peters factory in 1934 and continued running the plant through most of World War II. The factory finally closed in July 1944 and was sold months later to Columbia Records Company, which used the space to create phonograph records. Seagrams Distillery bought the property in 1950 and used it as a warehouse for 20 years. Landmark Renaissance Corporation purchased the buildings in 1979 and renamed the facility the Kings Mills Technical Center. LensCrafters also leased part of the property for a short time to make eyeglass lenses, while other smaller companies owned or leased other buildings on the site. The facility was added to the National Register of Historic Places on Oct. 10, 1985. And after being passed from developer to developer, it finally made its way to Roland Strobel’s father in 1998. Each developer had aspirations of making the former factory something special. But like the owners before him, Strobel’s father struggled to make his vision a reality. According to the newest owners, that dream isn’t dead yet. When developers Steve Bloomfield and Ken Schon look at the guts of the former munitions factory, they don’t see spooky shadows or ghosts. More specifically, they envision 130 high-end loft-style apartments, indoor parking and family-friendly shops and restaurants. Strobel said he sold the property to the development team at Bloomfield/Schon for under a half-million dollars in 2014. Months later, the Walnut Hills firm announced a $25 million plan to turn the blighted buildings into a luxury living paradise. 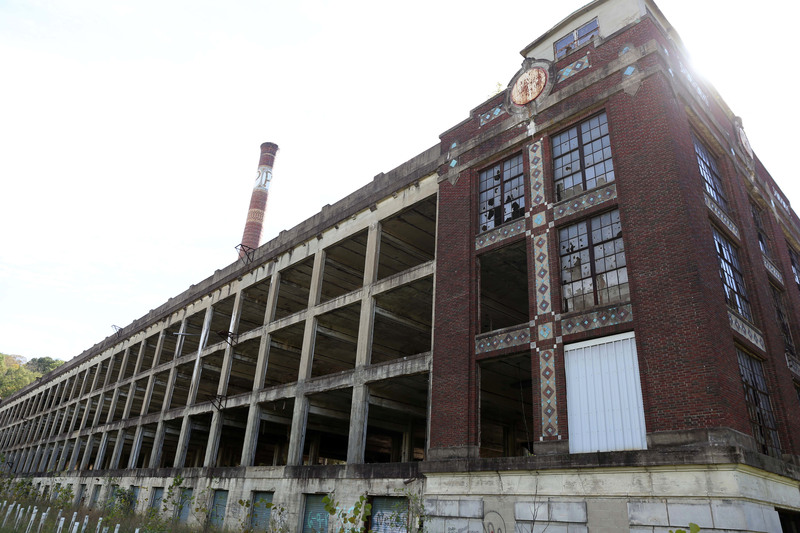 But the project – which would keep the factory’s original buildings intact – hasn’t been without its setbacks. In 2009, the U.S. Environmental Protection Agency issued an order calling for the cleanup of the factory and surrounding area due to soil contamination including lead, copper, mercury, boiler ash and slag. The EPA also added the property to its National Priorities hazardous waste sites list in 2012 and ordered DuPont Company to clean it up. DuPont doesn’t own the property, but the EPA held it responsible because it owns Remington Arms – which was in charge of the factory during WWII. The $5-million environmental cleanup began in April 2015 and stretched across a half-mile area on the popular trail near the factory. The cleanup took nearly a month to complete. In another snag, the Bloomfield/Schon team budgeted $100,000 for tapping into the county’s water and sewer systems but were later confronted with an estimated cost of $980,000. In January 2017, Warren County commissioners decided to cut nearly $500,000 of the fees, according to the Dayton Daily News . The team would not comment on the progress of the development and said there is no timetable for when the project could be complete. For now, the historic structures remain towering over bicyclists and joggers taking in the scenery of the Little Miami trails. They still lure in the occasional ghost hunter or senior portrait photographer, too.